DRAGON EURO TRADE is a professional Import - Export Wholesaler for Asian Decoration Products for over 20 years with a large assortment. With over more than 50 different product groups and more than 6500 different articles always on stock, our products are direct available in our Cash & Carry Center located in Nieuw-Vennep (Northern Holland Proviance). All products are directly imported from different Asian countries like China,India,Thailand,Indonesia and America. DRAGON EURO TRADE is only meant for the the business market, we do not sell to private individuals. Our website contains 95% of our assortment. We receive containers regularly from Asia with new stock and new products. 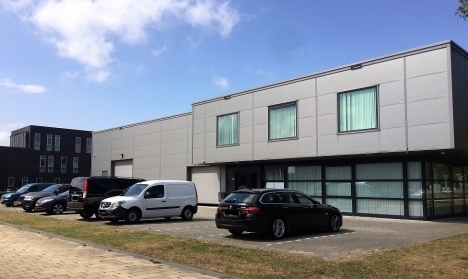 Besides our webshop, Dragon Euro Trade also have a Cash & Carry showroom in Nieuw Vennep. All of our stock are saved in our private warehouse. Customers are always welcome to visit our showroom weekdays. We are well located and have our own free parkingspace. We are weekdays opened from 10.30am - 18.00pm, friday until 17.00pm for questions or comments please contact us via our mail (service@dragoneurotrade.nl) or phone ( see contacts).